Blockchain credentialing for rapid deployment of virtual care. Every stakeholder in the healthcare ecosystem desires the best possible care outcomes. Patients want access to the most qualified, experienced providers; providers want the highest quality care for their patients and the best possible treatment outcome; and payers want fiscally responsible service provision – a reasonably shared paradigm, albeit hard to sustain. So what happens in a disaster? Is there a way to keep the framework intact? What about virtual care/telemedicine? Telemedicine is not a new construct; in fact, it has been in play for many years. The ability to deliver care at the point of need could help keep the shared health value chain intact. If that’s the case, why is telemedicine so absent from the landscape in disaster situations? Is this practitioner appropriately credentialed? Are those credentials up to date and in good standing? Can the identity of that professional in a virtual care setting be confidently validated? How quickly can that practitioner and technology be deployed to meaningfully support and impact the response and recovery effort? Can this capability be rapidly scaled to position an ecosystem of care professionals ready to meet the care gap without needing specialized equipment, extensive technology reconfiguration or support? There isn’t a single solution to answer all of these questions. There is no silver bullet. But what if we combined several technologies and approaches together? Could we realize a situation wherein health professionals can be activated and vetted simultaneously? In the aftermath of the 2017 hurricanes, imagine if the State of Texas could have utilized some kind of emergency virtual health activation platform – a combination of distributed ledger technology, virtual care platform and a self-activation portal. Such a platform would have the potential to deliver the benefits of advanced virtual care in disaster scenarios. It would provide a seamless, standardized interface to promote self-activation of healthcare providers powered by advanced security and allowing for on-demand credential verification and reporting. With such a platform, would we have affected patient outcomes? Could we have supported any Americans impacted by disasters in 2018? There are a number of challenges to making such a scenario possible, but all can be overcome with an integrated approach. DLT and Second Factors. Delivering the promise of virtual care means addressing credential unification. Credentialing is not a new challenge. Patients rely on credentials to ensure the care professional trained and qualified provide care and payers rely on provider enrollment/credentialing to complete the payment cycle. Credentialing is expensive and time-consuming process, and renewal cycles make it nearly impossible to ensure that any repository of data is up to date in real time. The National Association of Medical Staff Services estimates most physician credentialing takes greater than 120 days. A physician practice submits an average of eighteen applications for credentialing per year. Multiply that by the estimated 1.1 million physicians practicing in the U.S., and it’s easy to so see why credentialing unification is so challenging. Trying to complete this process in flight using current paper based methods in a disaster scenario would be nearly impossible. Centralized registries are difficult to manage – distributed ledgers provide scale, flexibility and currency of information qualities – all of which are essential in automating credential verification. Leveraging DLT technologies would allow a distributed and more automated system of credential verification, updates and exchange. Imagine that a physician could submit his/her education, background, experience, etc. to a DLT ecosystem. Once submitted, the information would be sent to primary and, if needed, secondary sources for verification. Once verified, the information could be added to the chain and effectively shared via the distribution mechanism. So if a physician from Montana wanted to help during a disaster in Texas, his/her credentials could be verified through the blockchain rather than a paper exchange. Virtual Care Platform. FHIR has changed interoperability since its inception. The ability to leverage virtually any device that is in compliance with the FHIR standards greatly simplifies integration efforts and allows a wide array of endpoints to participate in the process without additional equipment or reconfiguration. The ability to have a web front end that would permit a BYOD endpoint coupled with verified credentials allows scale to be attained. Self-Activation Services. In the first days of any incident, the outpouring of support is very high. It is the human imperative of most responders/medical personnel. As response moves to recovery, days into weeks, and news falls from headlines to footnotes, involvement tends to follow. What if there is an opportunity to continue support remotely – on your terms and schedule? What if it were as easy as logging into a program site that would allow you to “check in” for service activation? Self-activation would allow remote providers to “check in” for remote consultation on their schedule. 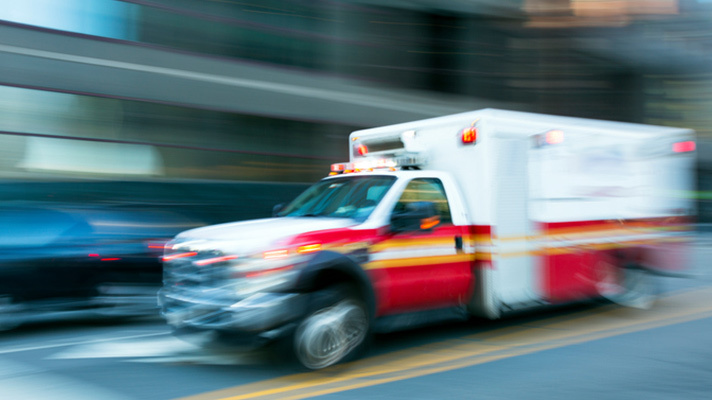 The portal would show who is logged in and would allow for either provider-to-provider communications or in some cases, where emergency services are needed, the next available physician could be made available for triage or bridge care services. While a concept model like this does not solve every issue (liability, language, specialist droughts, etc.) it is a monumental move forward. Imagine if by leveraging technology to tap into the healing nature of the care community we could provide care services, independent of geography, when it is needed most. That’s something to get excited about. Stop by Verizon’s booth (#1959) at HIMSS to learn more about how Verizon is supporting disaster-recovery efforts with digital solutions.